Itel it1408 android phone is the latest flagship from this smart company, this device is designed mainly for those that like small phones, because of it’s small size and coming with a small 4.0 inch screen size and interesting 8GB internal memory size. I know this mobile phone will not have me swap my current smartphone for this. Also Itel it1408 is packed with 1.2GHZ dual-core Processor, 8GB internal storage, 512MB ram. A poor camera of just 5 megapixels back and 2 megapixels front, this probably is not a camera phone. Pre-loaded with powerful google android OS version 5.1 Lollipop. 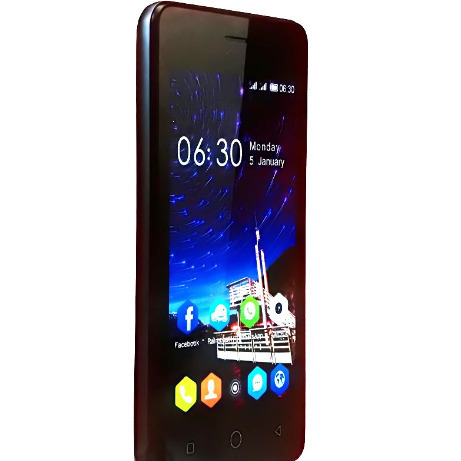 This Itel it1408 smartphone has a Dual sim functionality with full 3G support, which is very easy for internet connectivity. it will be up for sale come may 2016.
there is this incessant ads when connected to the internet, when you try to close it, it download. plz,how can this be stopped? Go to your date and time in your phone setting and reset manually. Go to data usage and disable the allow background data. Ensure you have a valid gmail account. enter your 8 digit password correctly. rest the cache of the google play store app, from settings- apps- google play App- rest data cache. For lags/hands is caused by low ram or small internal memory. Close some apps to free up your phone to run smoothly.